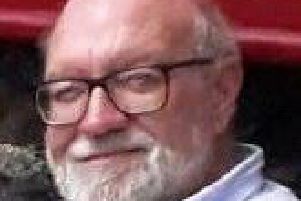 Friends of a solicitor allegedly murdered by his wife have told a court they were concerned about his appearance before he died. Some of David Edwards’s colleagues and neighbours gave evidence at the second day of a trial at Manchester Crown Court. Wife Sharon Edwards, 42, of Parkers Wood Close, Chorley, denies murder by stabbing him in the heart. Friends told the jury they warned Mr Edwards to leave her after seeing him sporting various injuries. Sharon Edwards began to cry as barrister Ian Dacre, David’s friend, told the court: “Naturally in that situation I asked him why he was putting up with it. I’d have been off like a shot. Mr Edwards was found dead in his bed at their home in Chorley on August 23 last year – the day after they returned from a holiday in Majorca. David’s former partner of eight years, Debbie Livesey, said: “David liked a drink. He was a funny drunk. She said as time went on Sharon was constantly telephoning her, one minute wanting to be her friend and the next verbally abusing her. She also began to notice injuries. Kathleen Hurst, a neighbour of Mr Edwards since 2008, and fellow neighbour Joanne Marsh, who knew him for three years, said he had lost weight and looked gaunt and dishevelled. Mrs Hurst was on the verge of calling police after hearing screaming one night but police arrived as she picked up the phone. Christopher Hall, a former partner in Stanley Cross solicitors where David Edwards worked, told the court he had seen many injuries including black eyes, burst lips, and scratches. He said: “He once confided in me Sharon assaulted him and he refused to make a statement. “She gave a no comment interview. He revealed in July he received an e-mail from a worried colleague at Kevills solicitors and tried to trace David’s brother to share his concerns.